Dakarai Rishon Adeolularon Fagorala, son of Kimberlea Yvette Oloruntoba and Adedoyin Olubukola Fagorala was born the youngest of twin sons Dominick Rishan Adedolulere Fagorala on August 19, 2000 at Kaiser Permanente Hospital in Walnut Creek, California. On August 12, 2018 he passed as victim of a tragic teenage drunk driving accident of 5 teens along with his friend John in Walnut Creek, California. After the divorce of his parents in 2003 Dakarai and his family relocated to Fairfield, California where Dakarai and his twin began attending pre-K We R Family Christian School in Fairfield, California, until third grade before transferring into Suisun Unified School district where he completed elementary school promoting from Suisun Elementary School with his twin Dominick. Dakarai accepted Jesus Christ as his Lord and Savior at the young age of 9 and was baptized at Allen Temple Baptist Church by Senior Pastor J Alfred Smith Sr. in March 2009. While a member of Allen Temple Church Dakarai served as Junior Deacon under the leadership of Deacon Colbert along with his older brothers Demarco and Dominick. In May 2009, his family decided to change churches and became members of True Love Baptist Church in Fairfield, California. As an active member of True Love Baptist Church Dakarai served on the Youth Usher Board, due to his great leadership and humbleness he was then selected to be the Master of Ceremony for the Usher Board Program. Dakarai proudly attended Bible Studies, volunteered in the community at local homeless shelters and tutored younger children. In June 2012 his family relocated to Antioch, California where Dakarai and his twin Dominick attended Black Diamond Middle School at which he earned several awards in academics and was awarded athlete of the year in basketball in the eighth grade. While living in Antioch Dakarai was a member of The Fellowship Church serving on the Traffic Dream Team and serving the homeless every weekend with the Breaking Bread Breaking Barriers Small Group, volunteered at the Martinez Veteran Rehabilitation Center, and attended the Redeemed Christian Church of God, Jesus House Antioch in Antioch, CA with his father actively assisting with community outreach. Dakarai played AAU Basketball for Team Payton traveling to Reno, Los Angeles, South Lake Tahoe and other local basketball tournaments throughout the Bay Area. Dakarai attended Deer Valley High School in Antioch, where he received several academic awards and was nominated to attend the National Youth Leadership Forum for National Security in Washington, DC. In September of 2016. 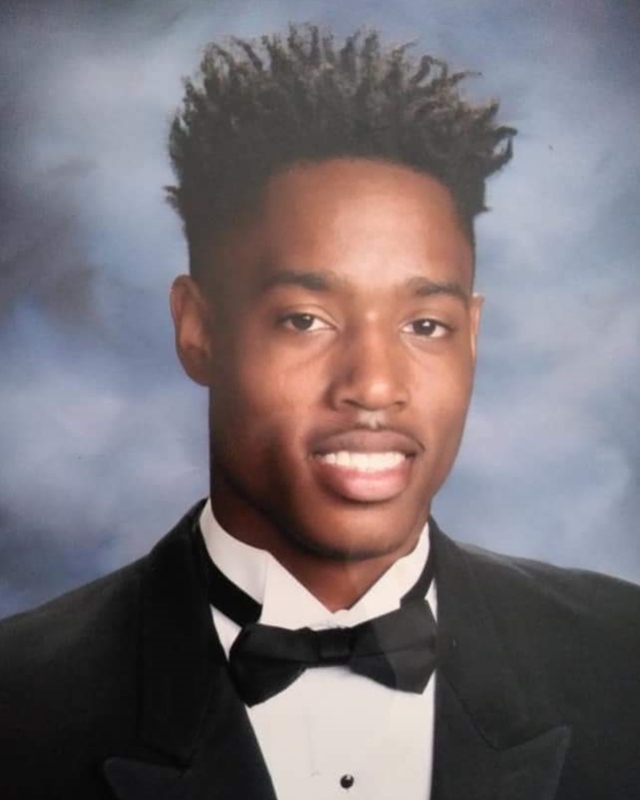 Dakarai graduated from Deer Valley High school in June 2018 with honors and was soon to begin his first semester at Los Medanos College in Pittsburg California. Dakarai was a devoted and loving son, brother, grandson, uncle, nephew, cousin and friend. He loved spending quality time with his family. He especially loved spending quality time with his siblings especially twin brother Dominick and favorite cousin Candace, this gave him so much joy! Dakarai adored his two nieces Ambreyel and Layla and when they visited he spoiled them with unconditional love he’d enjoy watching kid movies eating popcorn just hanging out with them. He loved listening to music, video games, going camping, feeding the homeless, volunteering at the Veteran Rehabilitation Centers, spending time with friends going to gatherings filled with love, laughter and great food. In his leisure time he loved going to the gym to work out or play pickup basketball, he loved to eat, go shopping, and spend lots of time with his friends playing basketball his absolute favorite sport. Dakarai was known for his humble and good sense of humor. His demeanor was always uplifting and radiated positivity and passion for the things that mattered most to him. To say Dakarai was just a great young man is an understatement. The things he said to others always brought the brightest smiles, they were always personal, and you could tell that he always put a lot of thought into what he said, because it always seemed to be the right thing for the right occasion. Dakarai was preceded in death by; his step-father Derrick “DIGG” Reed, Great Grandmother’s Lena Mae Carter, and Ethel Mae Bell, Grandfather Pa. Samuel Ademola Fagorala, Auntie Cheryl Ann Bell, and nephew Rasheed Penn Evans. Dakarai leaves to cherished his memories his loving Mother Kimberlea Oloruntoba, Step-father Mark Oloruntoba, his Father Adedoyin Fagorala, & Step-mother Funmi Fagorala, of Antioch, CA, Grandmother Theopha Russell of Sacramento, CA, Grandmother Mrs. Abosede Fagorala of Nigeria, Auntie Katisha Gonzales (Uncle Richard) of Sacramento, CA, two sisters Damikah Raelynn Reed of Antioch, CA, and step-sister Dr. Afolami Omolayo, (Olajide), of Chicago, 3 brothers Demarco Evans of San Francisco, CA, Adedola Fagorala of Antioch, CA, Twin Brother Dominick Fagorala of Antioch, CA, and brother in law, a special sister Mariah Cleveland, 3 nieces Ambreyel Evans, Layla Evans, and Grace Omolayo and one nephew Demari Penn Evans, his favorite cousin Candace Turner of Oakland, CA. Dakarai is now resting peacefully in the arms of the Lord and will be missed and remembered by his family and a host of aunts, uncles, cousins and friends both near and far. Though tears still fall for his passing, joy comes from knowing he’s now at peace with God and his legacy will continue to live on through his family and friends especially his TWIN.